The first time I walked into a crystal shop – the Litlington Crystal Store in East Sussex to be precise – I was overwhelmed by all the crystals on display. They were so beautiful I wanted to buy loads of them, but there were so many I didn’t know where to start. I guess if I was a millionaire I would have bought one of each type, but frankly I am not well off. I ended up buying just one – a little amethyst I felt particularly drawn to. According to Crystals: How to Use Crystals and Their Energy to Enhance Your Life by Judy Hall, which is a new Hay House Basics book, that was exactly the right way to begin. Hay House Basics is a new series of reasonably priced books teaching a range of mind, body, spirit subjects. As publisher Hay House explains: "These introductory titles cover core topics in the areas of self-development and mind, body, spirit. Clear and concise, these books aim to de-mystify popular esoteric subjects so that anyone can understand them." Crystals has two parts. 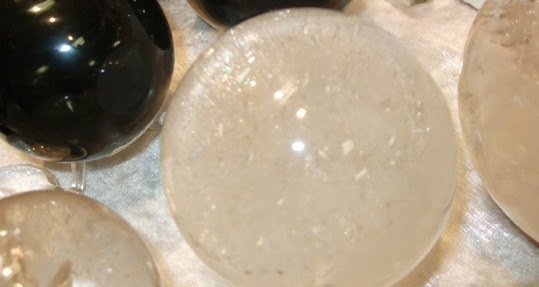 Part one is Crystal Foundations; it explains what crystals are, the history of their uses for healing, protection and divination since ancient times and various theories of how they are believed to work on a mystical, spiritual and psychic level. The book offers exercises in using crystals - sensing their energy, cleaning them, attuning to them and using them etc. One of the introductory lessons is learning to dowse for the right crystal to use and also learning to dowse with crystals. For me, dowsing was the first experience I had of using crystals. My dad was really into dowsing when I was a little girl and he taught me to dowse. He had all sorts of equipment - hazel twigs, bits of wire and pendulums made of wood and metal. I tried them all to see which worked best for me. Then, for some reason, I felt the urge to try dowsing with an old quartz bead from a broken string necklace I'd been given by an aunt. I found that worked best of all and I stuck to it. The lesson I learnt then, which this book backs up, is use your intuition and don't be afraid to experiment. The second part of the book - called Crystal Applications - is all about experimenting. After working through part one, the way to use part two is to be selective. Right at the start Judy Hall asks readers to think about what they want to use crystals for. This can vary widely and includes ornamentation, protection, wellbeing, relaxation, meditation, shamanic journeying, scrying and divination. Judy then says which chapters to read for what you want. 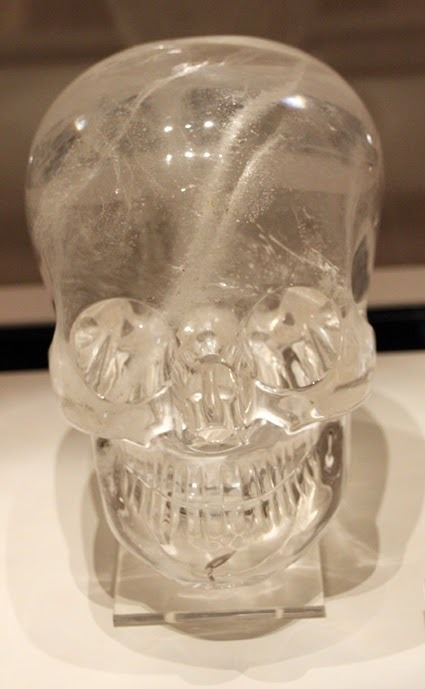 There's even a chapter at the end about the famous crystal skulls and how people consult them for wisdom and knowledge. The chapter that interested me most was the one on picking and using a crystal ball. To be honest, I was slightly disappointed that there wasn't a chapter on crystal correspondences in spellwork, but there is a list of the divinatory meanings of crystals that could be adapted for spells and magical rituals. Judy also offers advice for those who don't have a huge range of real crystals to hand and, like me, can't afford to buy them. You can practise the techniques in the book using the images on cards such as Judy Hall's The Crystal Wisdom Oracle. I would point out that Hay House Basics: Crystals does not have pictures. For a great pictorial reference work to go alongside the Hay House Basics guide, you can't go far wrong with Judy Hall's classic Crystal Bibles.Nevertheless, you will find descriptions of a huge range of crystals and what they can be used for. According to the book, my little amethyst is protective, transmutes negative environmental energies and enhances spiritual awareness - probably just what I needed when I was feeling overwhelmed by all the lovely crystals in that shop and perfect for where it has sat on my living room shelf for so long. To find out more, Hay House's website for the series is: http://www.hayhousebasics.com/. At the site you can find free downloads to go with each Basics book. This includes a free audio meditation called Beginning to Work with Crystals. The picture of the crystal skull to the right is a photo I took at the British Museum and the one at the top I took at the Mind Body Soul Experience.